Adrian's, a Mexican restaurant in Mesa, is being touted as the state's best eatery. | Yelp user John G.
Agreeing on which of Arizona's restaurants is the best is a fool's errand. There are literally thousands of them all over the state, and everyone has different tastes. But the folks at USA Today gave it a shot this month after combing through ratings and reviews on Yelp, the online review site. 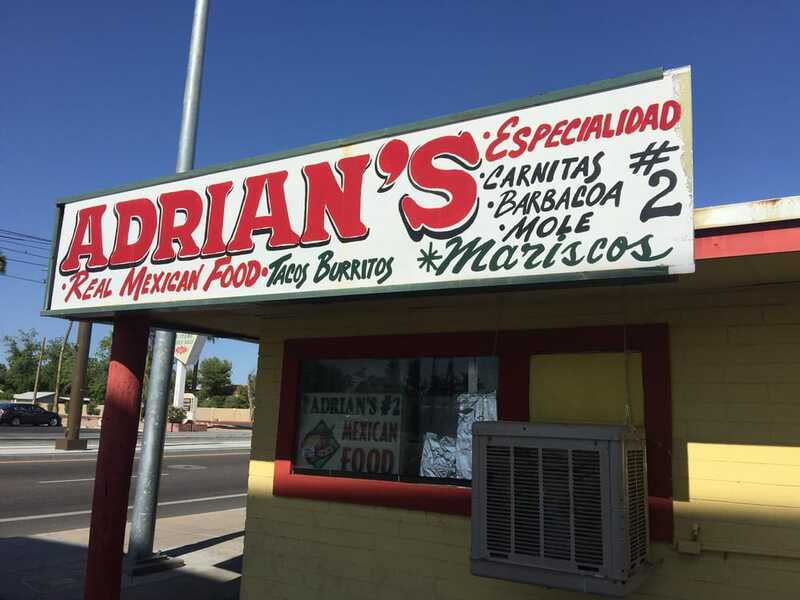 Based on that data, the newspaper declared Adrian's, which serves Mexican food at 1011 W. Main Street in downtown Mesa, to be Arizona's best eatery. As of this writing, the restaurant has an average rating of a perfect five stars, and more than 130 reviews. Adrian's reviewers rave about the "hole in the wall" spot, which has just five tables, and its prices, which many say are lower than at other Mexican restaurants in the Valley. The restaurant, touted as being family-owned since 1996, is open from 7 a.m. to 4 p.m. daily. To learn more about Adrian's, call the restaurant at 480-610-1231. What a "real" Mexican place! We had tacos and they were excellent, the service was great and they are very friendly. We'll be going back again.